Readers often can’t help but become active participants in a mystery story in that a large part of their reading experience is to figure out the “who done it” before the author reveals all, and I am no different. I love a mystery that is chalk full of plot twists and the more challenging they are to solve, the better. In his debut novel, Missing, Drake Braxton has written a twist of a story that takes the art of a winding plot to an entirely new level. One that completely blindsides the reader leaving them momentarily with figurative whiplash and in wonder of the extremely well nuanced clues they missed. But once the turn of events settle into place they make perfect sense and the story then takes on new meaning. One in which the reader journeys with Blain through the stages of his grief at the loss of his husband Manny and his recovery from alcoholism. One of the key strengths of the writing in this novel is characterisation, and in particular the author’s honest and realistic portrayal of Blain and his struggle to overcome his addiction through the character’s first person narrative. Through Blain’s journey the author shines light on the physiological and emotional effects of chronic alcoholism and the inherent self-destructive behaviours of addiction, as well as both the difficulties of achieving, and the temptations in maintaining sobriety all the while exploring the complexities of this character. While mourning his husband’s death Blain has to also face and take responsibility for his deceitful actions in his relationship with Manny, as well as the outcomes of his destructive behaviours while under the influence that affect every aspect of his life, including his friendships, work and health. What I appreciated most is that Blain is presented as fallible and altogether human without judgment and therefore, is completely accessible to me as a reader. I fundamentally liked Blain as a character and easily found compassion and empathy for him as he struggled to re-build his life. The author has also written strong secondary characters – Blain’s closest friends who serve as his support system – and through which Mr. Braxton explores the impacts of Blain’s alcoholism on his relationships. Blain’s best friend, Michael, is prominent throughout the novel and extremely supportive. At the same time he is not an enabler and tensions do arise between the two when Blaine falls off the wagon and Michael calls him on it. By contrast, Grayson who is also part of Blain’s circle of friends and is introduced to us as a somewhat peripheral character at the beginning of the story shares in Blain’s propensity for partying, thereby providing Blain with an excuse to continue drinking. There is much going on with Grayson and as the story progresses the author reveals the depth of this character and the issues of denial and addiction that he also faces. I was quite drawn to the character of Grayson and very much enjoyed both his role within the overall story, but also his own personal journey of realisation and self-growth. Mr. Braxton makes room for romance in this novel in the form of the evolving relationship between Blain and Grayson. What I liked best about the portrayal of this particular relationship is that the author took his time with both characters and grew this relationship slowly, from friendship into a romantic one, as both Blain and Grayson needed to face and overcome their own individual hurdles before they could embark on a love relationship together. I felt that this served the story quite well, not only because it lends further insight into addictions and relationships, but also because it provides hope for new and positive beginnings for both characters. I did have a few slight misgivings in respect of the writing in that I felt it sometimes leaned toward telling rather than showing the story, and there was some over-description with regard to the more routine aspects of Blain’s life. But honestly, these were not pervasive issues for me, and were more than overshadowed by the strength of the charatcerisation and how well the writing depicted Blain’s emotionally compelling journey. I very much enjoyed Missing as it is a well written, multi-layered story with an excellent plot twist, and through strong characterisation provides the reader with authentic glimpses into many aspects of gay life by delving into a multitude of issues such as: platonic and romantic relationships; (in)fidelity and promiscuity; addiction; illness; loyalty; family; self-love; letting go; and second chances. As a debut novel, Missing is a solidly good and promising beginning and I look forward to reading more of Mr. Braxton’s stories in the future. 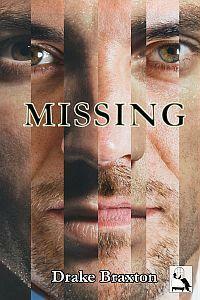 Missing by Drake Braxton is available at Seventh Window Publications and at Amazon. This entry was posted in Arc, Fiction, Indie Reviews, LGBTQ, Mystery, Romance and tagged Drake Braxton, Seventh Window Publications by Indie Reviews. Bookmark the permalink.